I woke up early this morning to run with a dear friend but it's absolutely pouring outside (with bouts of thunder and lightening) so we postponed our date and I sat down at my computer instead. I needed that run to sweat out some crazy with someone who gets it, but the respite I find here will help too. Later this morning we are scheduled to hold the third annual egg hunt at our house. We have over 1,500 pieces of candy to distribute to dozens of little ones who will arrive with empty baskets, and we even shoveled snow off the lawn to make it more amenable to the event. Me and the kids went to sleep last night giddy about it (Brian's slightly more mature) and since my invitation specified that we will hold the egg hunt regardless of rain, snow, or mud, I figured it was a go no matter what. As I typed that last sentence, thunder rumbled in the distance. Sometime after the egg hunt today, I will upload the final draft of my book to the publisher for printing. 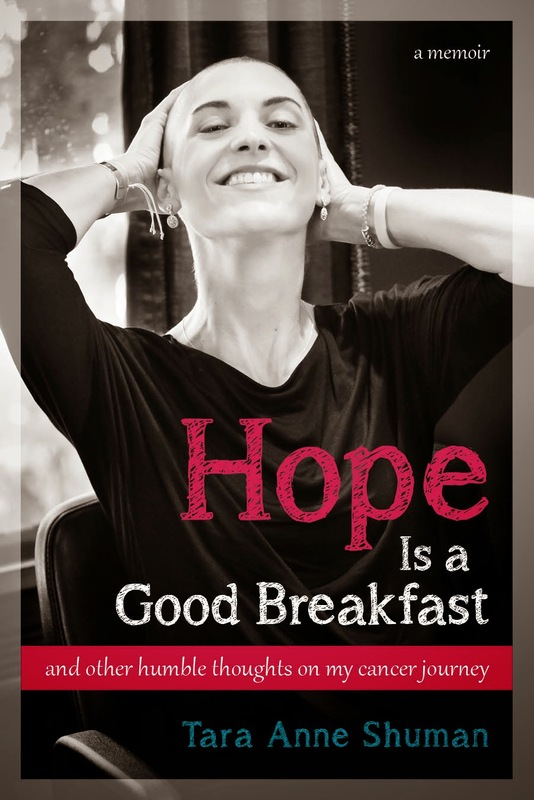 Last night, as I sat with the proof of Hope Is a Good Breakfast on the sofa, I almost started to cry. I can't explain it, and I never ever expected to feel this way, but I'm terribly ambivalent about parting with that final draft. I get a lump in my throat just thinking about it. Once the kids were asleep last night, I finally got up the guts to tell Brian out of the blue, "I'm sad it's going to be done." He knew I was talking about my book. And he understood. It was so helpful that he understood because I can't even articulate it. I've sat here a while between that last paragraph and this one. I've thought about so many things -- how the book began in the very seat I sit in now, also in the wee hours of the morning. I've thought about incredible events of this past week, including a huge win for an awe-inspiring asylum client in court yesterday, a meeting with amazing cancer researchers in a lab at Dana-Farber, two dear friends landing the jobs of their dreams, selling out of 400 tickets to the book launch party, and even receiving an autographed hope message from Donald Trump. I've thought about the thunder and the lightening outside and what we'll decide about the egg hunt. I've thought about ditching this blog to give a few sections of the book a final read. And I've thought about getting cereal because I'm hungry. When I started this blog, I'd sit here hungry too, but I knew I could never stomach breakfast. It may sound conceited to say that I love something I made. But I love my book in ways I can't even explain. I love my friend who took the cover photo in the minutes after my head shave. I love that two other incredible people designed the cover and took my author photo. I cherish the friends I've made while editing the text and while planning the party to launch it. I love the people I wrote about and the experiences they gave me. And I am eternally grateful for every person, dollar, and decision that made it possible for me to live long enough to write it. Over a year ago when I chose that quote for the opening of the first part, I conceived of it in a completely different context. But this morning, as my husband and two beautiful kids sleep upstairs, and as the rain falls lighter outside than it fell when I started this post, I feel great peace in those words. Because today, after some form of an egg hunt somewhere, my book will be finished. And an awesome adventure will begin.